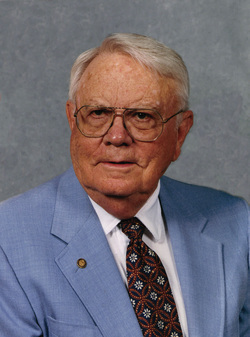 Thomas B. Peake, Jr. was a retired Christian Church (Disciples of Christ) minister who pastored churches in the Midwest, Southwest, and the West Coast. During the Korean War, he served as an Air Force Chaplain. A native of Missouri, he had science and education degrees from the University of Missouri, and a Master's degree from Phillips Theological Seminary. Between his retirement in 1985 and his death in 2009, he served as interim pastor of 15 congregations in 5 states, wrote two books, and published a number of articles in religious journals.